So this poor pattern had been sitting on my ironing board all cut since way before Christmas. Today I thought I better finally make it. The hardest part was lining up the stripes on my fabric. I also made the sleeves a little shorter. Not so sure why they are so wide. 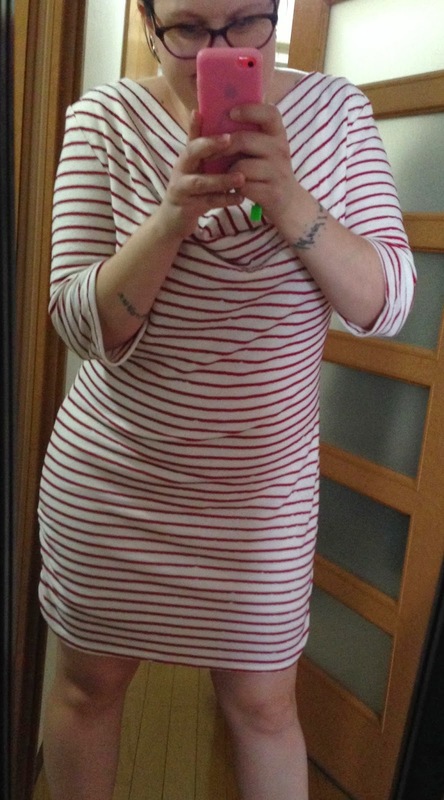 I had hoped this would be a nice candy cane dress for Christmas, but I just didn't get it done in time. Oh well, there's always next year. Unfortunately, it's still too cold to wear this. Hopefully, it will warm up soon!